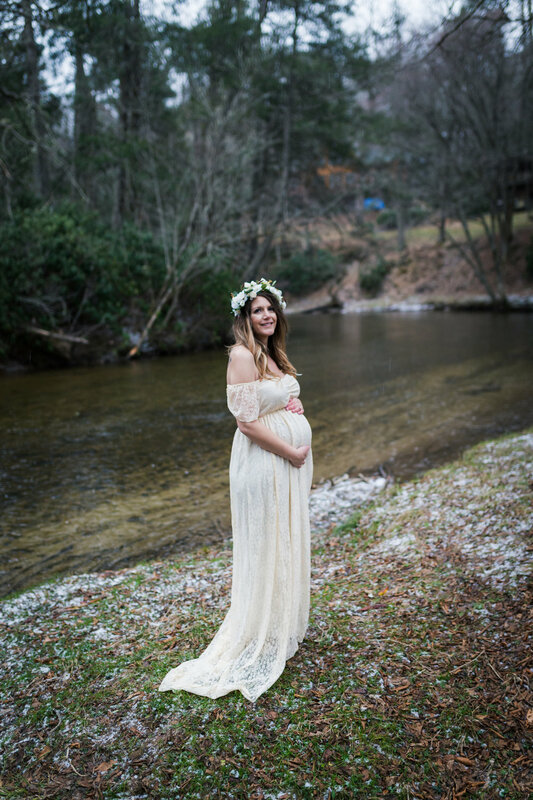 Majestic Mountain Diva-Maternity Session- Boone, NC- Sydney D.
Sydney + Dave brought their sweet pup all the way to Boone NC to meet me for a winter wonderland maternity session! While celebrating my oldest brother’s birthday at a snow tubing trip in the mountains, I offered Sydney + Dave an awesome snow session (it was supposed to throw down!) while we were there. I left Raleigh way early, met my brother in Greensboro, then we continued to the Boone area. There was a beautiful crusting of snow everywhere. But then we went tubbing. Unfortunately, when we got back, all the snow we had…melted. WHO CARES?! Sydney killed this session! She and Dave looked absolutely in love, Jenny is clearly excited to be a big sister, and Sydney was just breathtaking… see for yourself and be sure to leave them some love in the comment section! Congrats to Sydney, Dave, and Jenny on their sweet little addition coming soon! I look forward to working with this amazing couple again in the future (hopefully, really soon!) 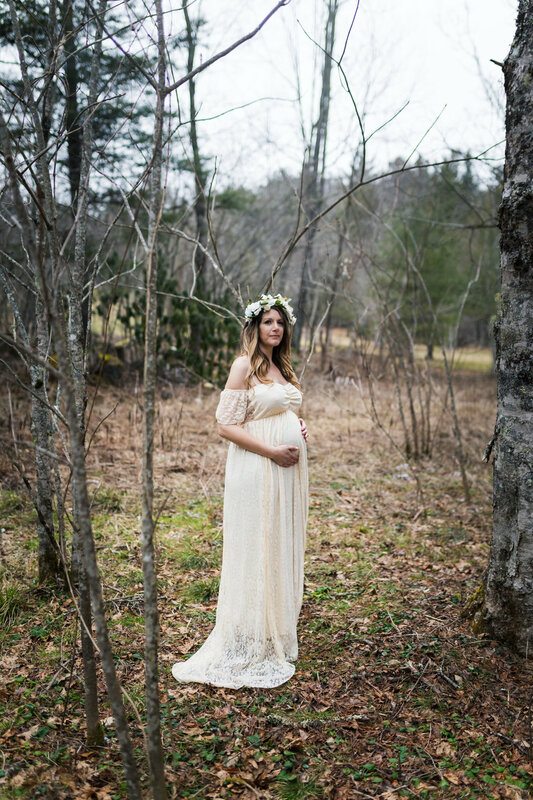 If you are interested in having Nine19 Photography shoot your maternity session, let’s chat! I’d love to hear your vision!